The caveat is that that depends on which you value more: the intelligent functionality of the device - or the electronic ecosystem of which you are a part. Google’s A.I. is smarter. And while Amazon’s is improving, Google is catching up faster in other features than Alexa is in general intelligence. 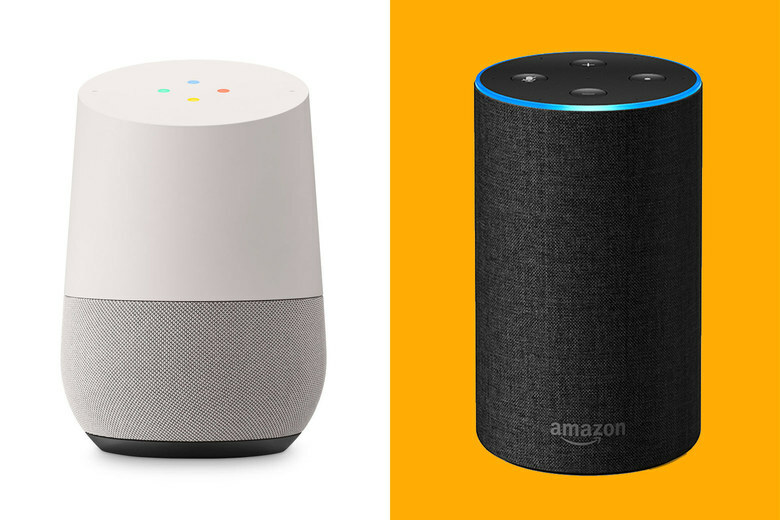 In test after test, the Google Assistant answers more questions than Alexa, and answers them more accurately. (Apple’s HomePod tends to lag both.) Separate studies by Stone Temple, Loup Ventures, and Tom’s Guide all ranked Google Assistant on top. But which company’s digital assistant do you want to become a fixture in your kitchen or living room? It’s a hard question, because you can’t simply compare hardware specs like you could with cameras, flat-screen TVs or smartphones. There are some physical differences between the leading smart speakers, sure. But the key distinctions reside in the A.I. software that animates them. And those can be hard to evaluate, unless you’ve lived with each for while. of the kids’ audio story service Storynory. Ask Alexa, and its first thought is to dive into a full-on, lengthy audiobook from Amazon-owned Audible, starting with the title page. You can get Storynory on Alexa, but again, you have to ask for it by name.